Tourmaline is a beautiful gemstone that can be found in a very wide variety of colors. Along with Opal, it is the birthstone for October. Tourmaline is also the stone for an eighth anniversary. The color of most Tourmalines can vary from light to dark depending on the angle of light, but some can show striking differences in hue. 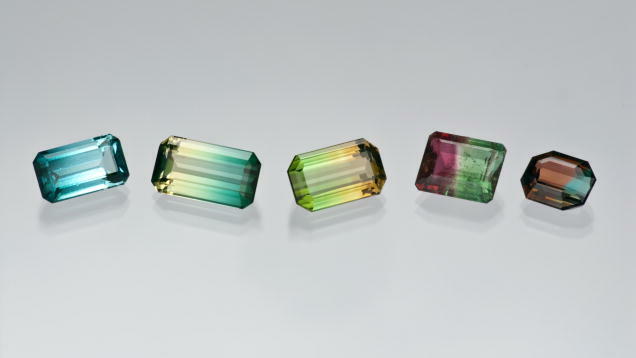 Some Tourmalines can even exhibit two or three different colors within the same gem. Unlike any other gemstone, the crystals in Tourmaline are arranged in a trigonal system, which means they are composed of three-sided prisms. When heat or pressure is applied to Tourmaline, it will become electrically charged. 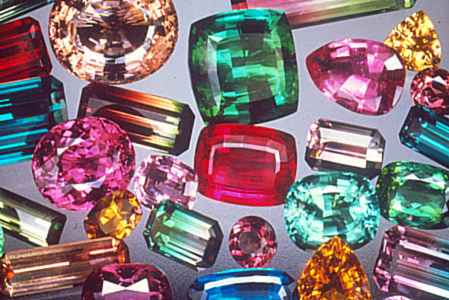 For centuries, the diverse color varieties of Tourmaline have been mistaken for other more well-known gems. When Tourmaline was exported from Sri Lanka in the 1700s, it was known as toramalli, which means “mixed gems”. Tourmaline became known as the American Gem in the late 1800’s because of its deposits in California and Maine. Tourmaline can also be found in Africa, Russia, Brazil, and Pakistan. 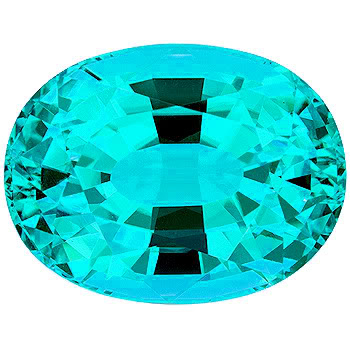 Paraiba Tourmaline is one of the rarest and most valuable gemstones in today’s market. 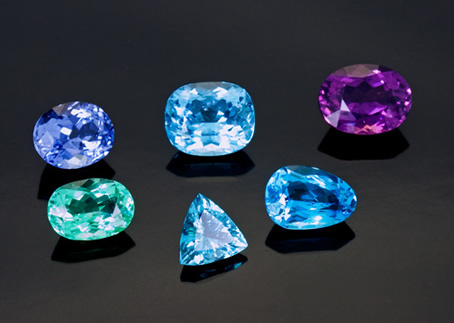 The Paraiba variety of Tourmaline is often called Neon Tourmaline because of its intense green, blue, or purple colors. Paraiba Tourmaline gets its name from the Brazilian state of Paraiba, where it was discovered in the late 1980’s. Since the advent of Paraiba Tourmaline on the market, its unique beauty has caused its popularity to skyrocket, but the original supply has been completely exhausted. Because of this, the very limited supply still available on the market is incredibly valuable. The Gem Collection had an extremely rare specimen of Paraiba Tourmaline, along with many other color varieties of Tourmaline, on display for its 2013 Tallahassee Colored Stone and Jewelry Show.